Day 366: It’s resolution time, people. 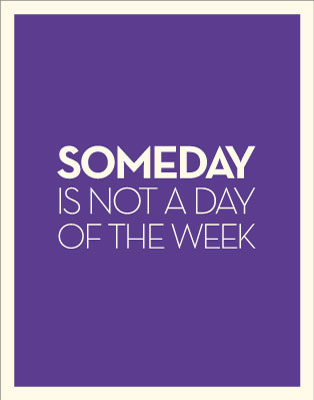 You won’t do things someday or one day… do them tomorrow or even today. There is no perfect time to start, so if you wait for it you never will. There is no time like now… | plus est en vous | my 366 day project.